The Original Worden's "showdown" blade bait, copied by all & sundry, but never bettered! 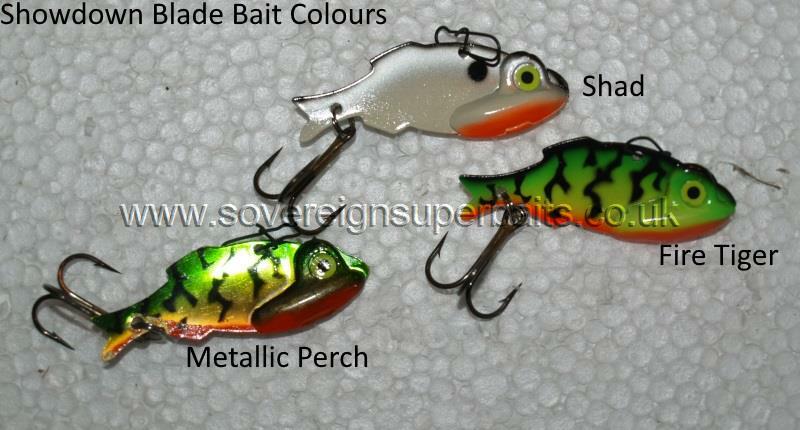 We have three colours in the 1/4oz size which casts very well & is a great bait for perch & trout. This bait gives out a massive amount of vibration on the crank for it's size & this model will work down to 17' - 20' with out to much effort on 8lb - 10lb mono or similar thickness braid. It can also be jigged for great results especially for Zander & Perch.